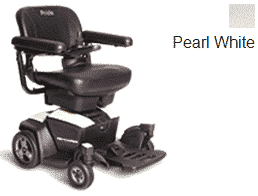 Considered the ultimate travel chair from Pride mobility comes the Pride Go Powered Wheelchair. Focusing on incredible portability, excellent manoeuvrability as well as keeping a stylish design the Pride Go is really one of its kind. Being designed mainly for indoor use the Pride Go can also be used outside. 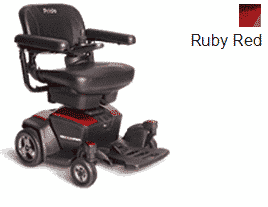 Pride Mobility have created a high quality portable power chair you can use anywhere for an affordable price. The Pride Go has been designed to be incredibly portable, with feather touch disassembly it can easily be dissembled into 5 pieces and stored in the back of your car boot. 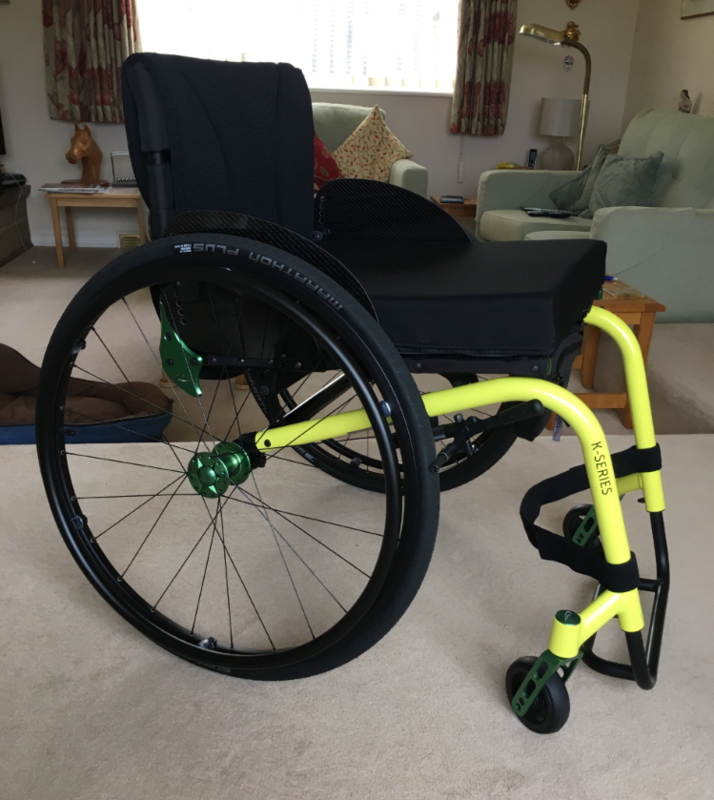 This is perfect for those with an active lifestyle and for users who often travel long distances but still need quick access to a powerchair. The frame of the Pride Go has been simplified which not only makes it much easier to maintain but the disassembly of the chair is so easy to do and it doesn’t require any tools. 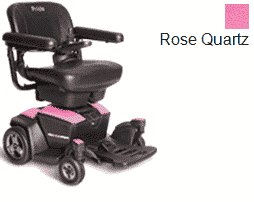 The Pride Go power chair has been made to a high quality with portability in mind. 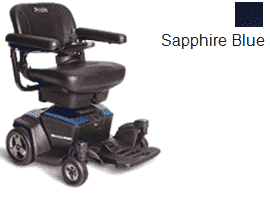 With this power chair you will be able to enjoy hassle free travel and independence on the go. Manoeuvrability was very important to Pride Mobility when designing the Pride Go and they didn’t take any shortcuts. Twin motors ensures traction to the ground is tight as well as keeping the handling precise. On one full charge the Pride Go can travel up to 10 miles, this is more than enough to cover daily usage and ideal for short trips to the shops or walking the dog. It has a maximum speed of 3.5mph which is high enough for both indoor and outdoor use. 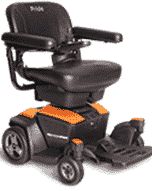 When using indoors because of the smaller length of the Pride Go compared to other power chairs and the tight turning radius, navigating tight spaces between furniture is a breeze. The seat is padded and comfortable and even though the Pride Go is a relatively small power chair it can accomodate someone up to 17 stone. The tyres on the Pride Go are solid, this is ideal for smooth indoor surfaces as well as meaning you will never have to deal with the hassle of fixing a puncture. However, some outdoor terrain can be uncomfortable to travel on as solid tyres do not absorb impact as well as air-filled do. The Pride Go electric wheelchair has some really innovative and useful features, one of which is the use of a joystick control. Being able to be mounted on either side the joystick control can be used to power and steer the power chair. The battery in the Pride Go has the option to be charged directly or via the joystick controller, this is something you don’t see in many other power chairs. The armrests are flip-up to allow easy access in and out of the chair, as well as the footrests also being flip-up and height adjustable to give each user that customisability. A main feature of the Pride Go is how attractive the design is, coming in a range of 6 striking colours you can find the perfect design for you. 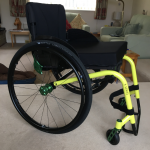 The new Pride Go power chair has been redesigned from scratch, offering sleek style as well as incredible handling and versatility all at a reasonable price. 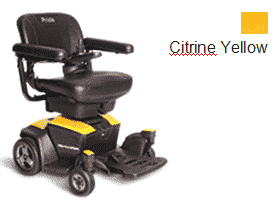 If an easy to use power chair for indoor and outdoor use with feather touch disassembly is what you’re after then the Pride Go power chair is for you. Please feel free to contact us or visit one of our showrooms across Essex for advice or to demo the Pride Go powerchair or any of the powerchairs we have in our range.